Our Clinics combine the latest Ottobock technology, experienced clinicians and first-class services. We understand and fully respect your needs and expectations, choosing the most appropriate device and therapeutic measures to help you regain your mobility. 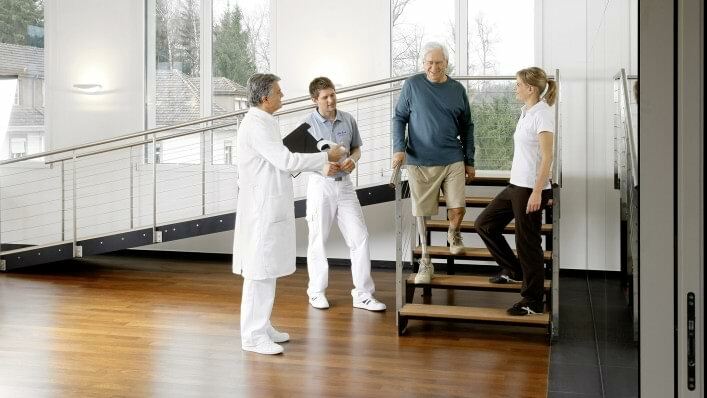 The Ottobock treatment circle explains what you can expect from our Clinics. It illustrates how we accompany you from the first consultation, during your fitting and throughout therapy, right up to and beyond your return to everyday life. Our prosthetists work closely with your doctors and therapists to select the optimum solution and fully prepare you for your artificial limb / supportive device. Our prosthetists and orthotists have much experience of working with users of artificial limbs / devices. 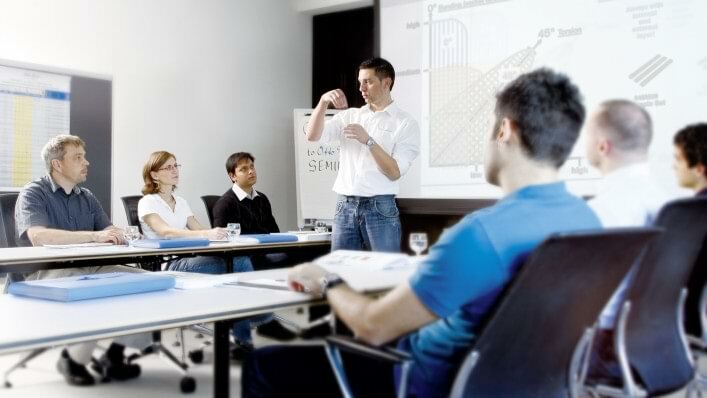 They regularly take part in Ottobock international seminars and workshops, exchanging ideas with colleagues from other Competence Centres around the world. We at Ottobock are continuously improving our product standards, developing novel measurement tools and equipment so as to provide technologically advanced devices and superior services.